Since 2006, the Inkscape, Scribus, Gimp, Blender, Krita, Open Clip Art Library, Open Font Library and other Free and Open Source Graphics communities have come together to make an annual developer and users conference. 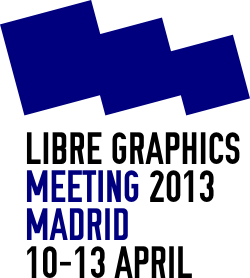 The Libre Graphics Meeting (LGM) is the annual meeting for developers and users of free software graphics applications to collaborate and advance the cause of high-quality free graphics software. 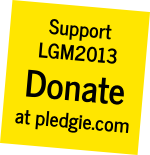 The 8th annual LGM will be held April 10-13, 2013 at Medialab Prado in in Madrid. Sponsorship will be used to provide travel subsidies to the developers who work on Free and Open Source Graphics projects around the world, often for free in their spare time. Your contribution will help offset the cost of assembling top developers and users of free and open source graphics software, and to make it even better. LGM is THE annual meeting they need to coordinate their efforts towards better applications and better integration between applications. For most teams, LGM is the only moment to talk face to face. It’s not only important, it’s crucial work. Thanked in a sponsorship announcement release.